Single border fabric. 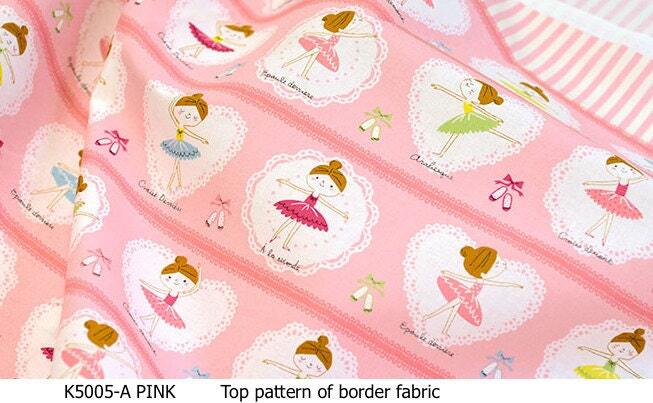 "Putite ( petite) Ecole " ballerina school line by Kokka Japan. 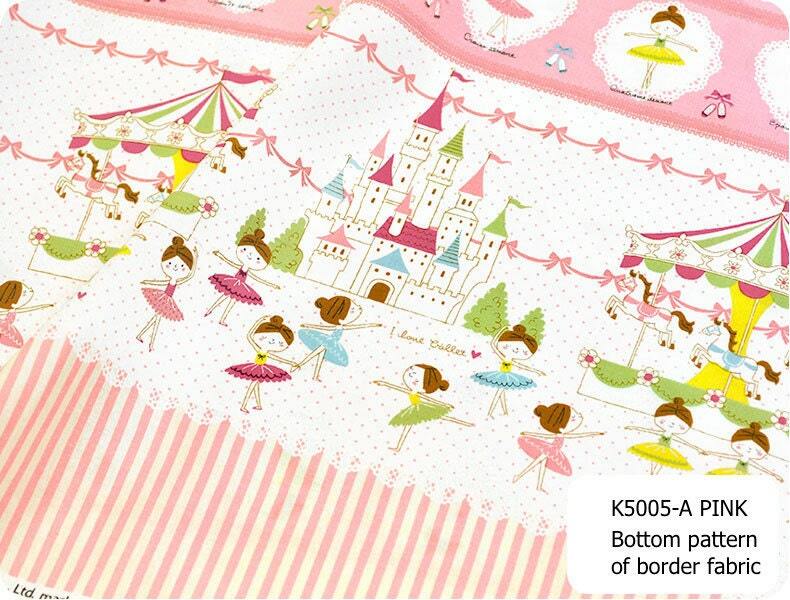 It features designs of prima ballerinas, castle and carousel at the bottom half of the fabric and ballet movements and positions at the top half. Bottom pattern repeats every 12". 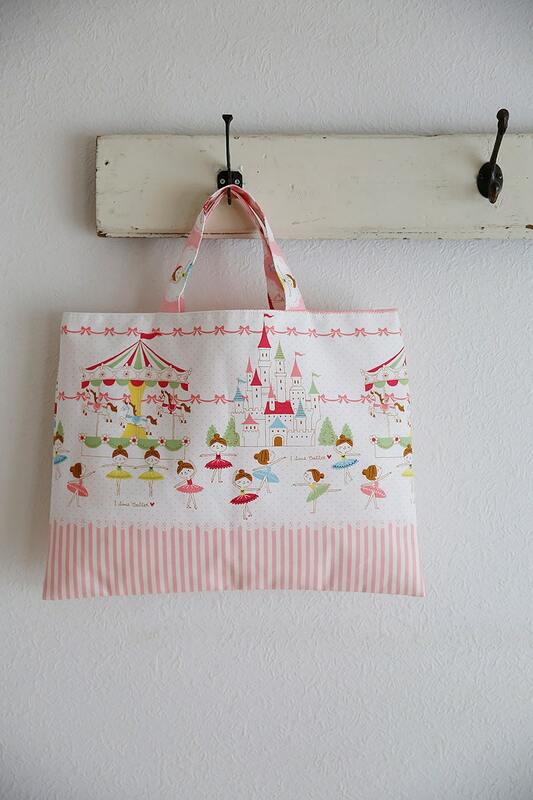 Perfect for the little ballerinas in training. 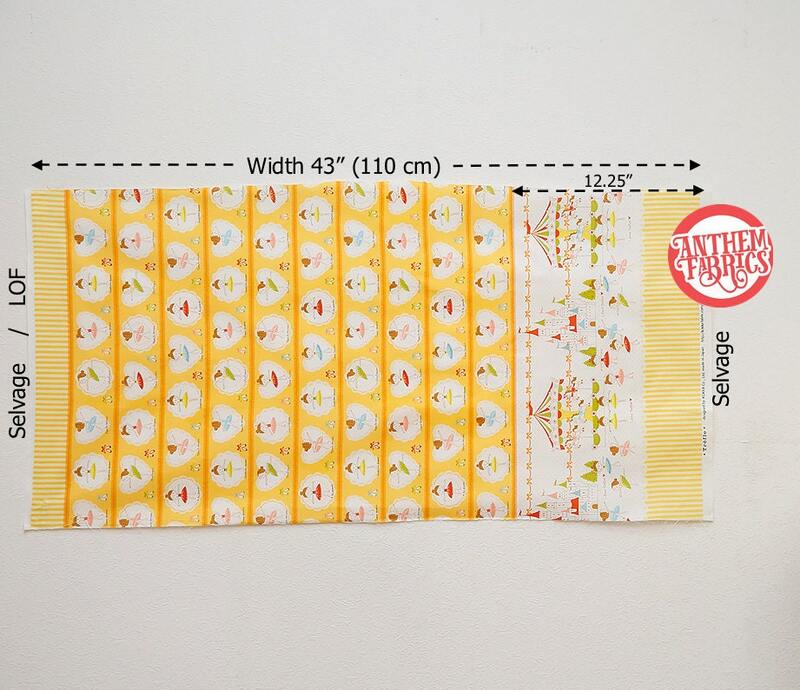 Make a lovely skirt /dress with the border hem or school items such as lunch/drawstring/tote bag! This listing is for the BLUE border fabric only. By the yard (36x43 inches, metric: 92c110cm). 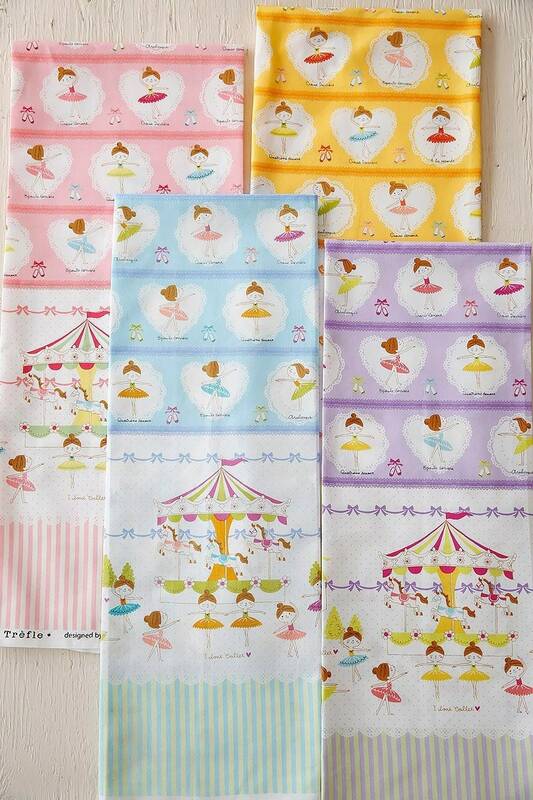 Pink, purple - limited yardage, please check the Kokka section.